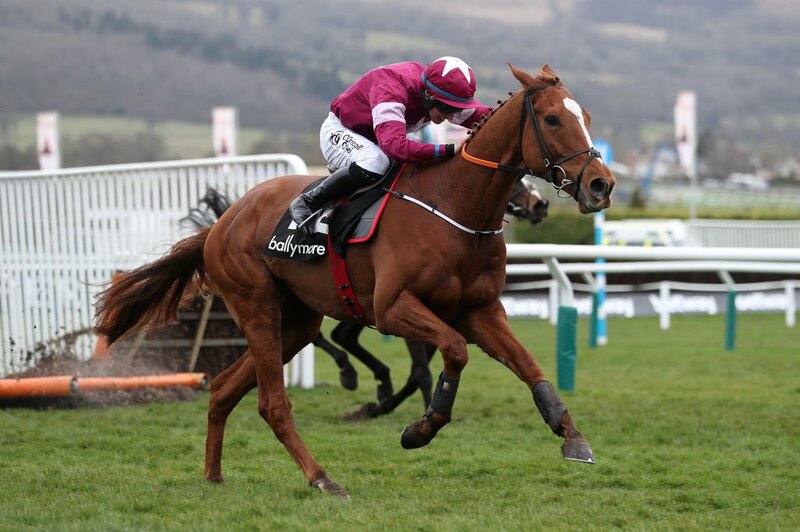 Gigginstown House Stud will send two horses to Aintree that will be in search of a swift return to form - Apple's Jade and Samcro, who will both have options next week at the National meeting to put right their respective careers. Firstly, the mare Apple's Jade - who has two entries next week on Merseyside, had been immaculate this term until an unexpected below-par run in the Champion Hurdle. A race where very close to the start, she edged favouritism from Laurina - who too was clearly not herself, and Buveur D'Air who fell early on. Apple's Jade was last but one to finish. The ten-times Grade One winner was reported to have dirty scope post-race, and connections are rightfully biding their time before committing to her next target. (Credit: Racing Post) Trainer Gordon Elliott said: "Apple's Jade has been entered for the Betway Aintree Hurdle over two and a half miles on Thursday and for the Ryanair Stayers Hurdle on Grand National day. "She's not certain to travel and we'll wait and see how things go with her over the weekend," he said. The seven-year-old's stablemate Samcro - also the same age, has too been entered for the Betway Aintree Hurdle next week and a decision on his participation will be made after his schooling this weekend. Elliott said: "Samcro seems in good form and we'll make a call about Aintree after he works at the weekend." Last year's standout novice hurdler and a dual Grade One winner, has had a season to forget in all. After landing last year's Ballymore Novices' Hurdle at Cheltenham and fulfilling all the hype, he has failed to win in three starts this season, including when dispatched by Buveur D'Air in the Fighting Fifth at Newcastle on his reappearance. He has not run since finishing well behind Sharjah in the Ryanair Hurdle at Leopardstown back in December, after which he was found to be suffering from a deep-rooted lung infection. The Stayers' Hurdle at Cheltenham was a possible option for Samcro, before it was decided to give him more time and to concentrate on the spring festivals. For much of the season, Samcro had been primed for the Champion Hurdle instead of a change in career over fences. After the realisation that he was not 'the second coming', Apple's Jade seemed to fill the void left by him as Gigginstown's Champion Hurdle representative. Apple's Jade failed to land a blow there - but do not rule her out in the future. Her one visit to Aintree back in 2016 was off the back of a Cheltenham Festival defeat, and she smashed her opposition by 41 lengths. The duo do still have options at Punchestown.